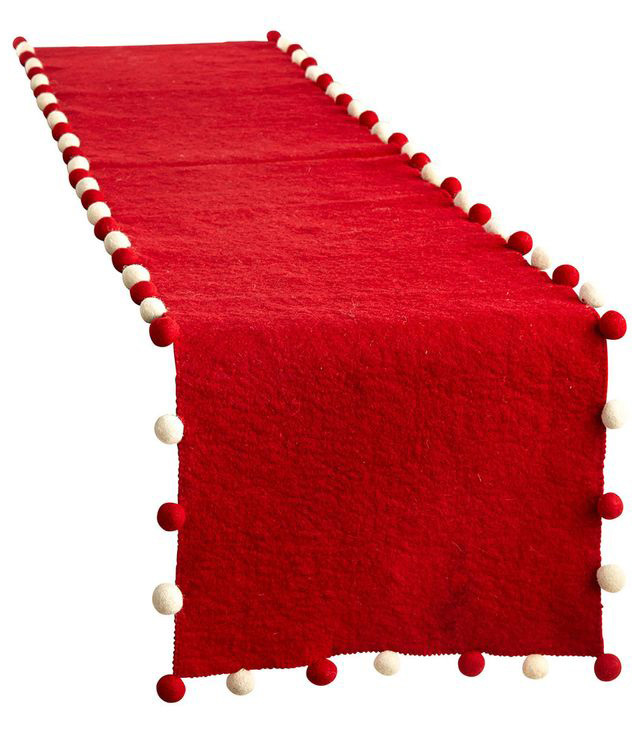 With a rich red hue, and white and red ball trim, this handmade Christmas Red Felt Table Runner showcases your dinner in a fun and festive way. $49. Buy here.